Lot Size: 7,023 sq. ft.
Space is a luxury, and this is one of the most spacious homes in the Rancho Estates to be available for some time. Originally designed by renowned architect Cliff May, this residence was expanded by the previous owners and now has 1,711 square feet of living area with four bedrooms, two bathrooms, a formal dining room, a large kitchen with breakfast bar and dining area, and a bright and open living room with fireplace. Great effort went into the refurbishment of this home, including restoration of original birch paneling and replacement of clerestory windows. Modern upgrades include kitchen appliances, cork flooring throughout, a remodeled master bathroom and expanded master closet, and a 200-amp electrical panel. And then there is the lot, which measures 7,023 square feet and features a mix of new plantings and mature vegetation to create park-like grounds that are beautiful and peaceful. 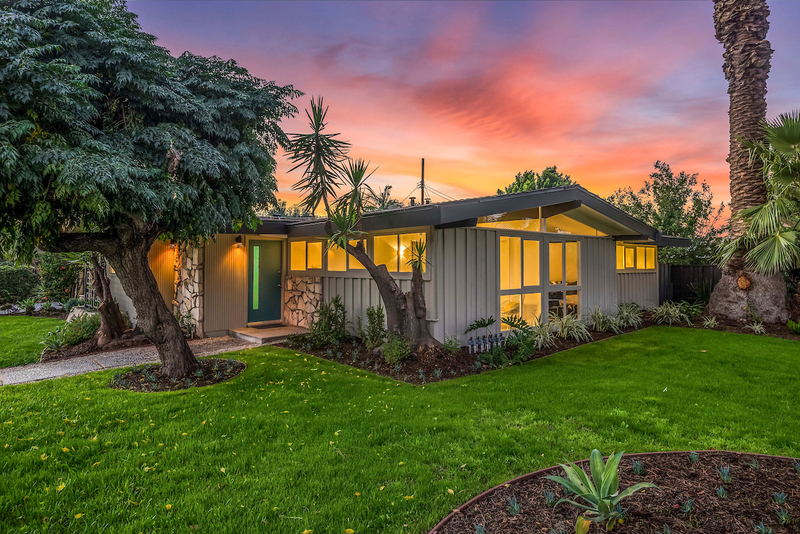 This home represents a rare opportunity to live in exceptional midcentury modern design in a dynamic Southern California community.